EDF’s analysis lines up with a recent S&P Global Market Intelligence report which also shows significant discrepancies between industry-reported flaring data and satellite data in Texas, North Dakota, and New Mexico. 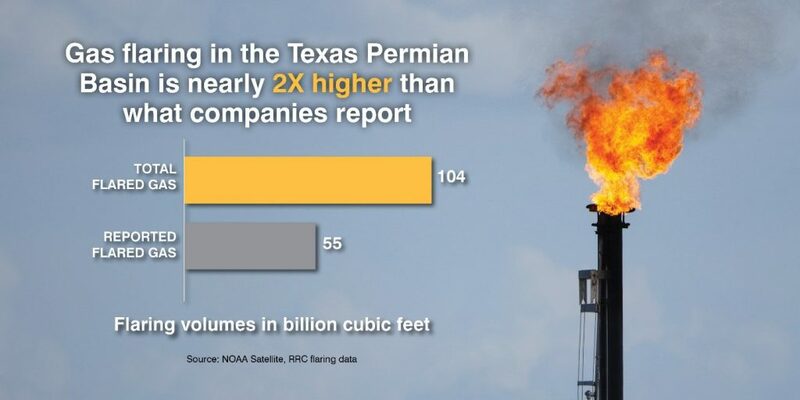 The report authors speculate whether operators “under-report flaring activity to authorities to allow production of much higher-valued oil to continue.” Their report looks at satellite data for the entire state of Texas and shows from 2012 to 2017, Texas wasted nearly one trillion cubic feet through flaring. That’s enough gas to meet the needs of every household in Texas for about 2 ½ years. 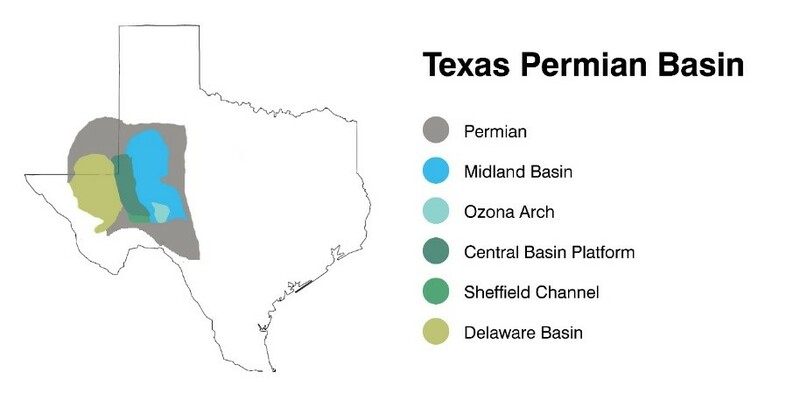 We also looked at flaring performance on state-owned University Lands (UL) which leases over two million mineral acres in the Permian Basin and is administered by the University of Texas System. UL collects royalties on all flared gas. We wanted to see if royalty payment, and what is likely a higher degree of lease management, correlated to better flaring performance. The data show University Lands (UL) has a lower rate of flaring compared to the entire Permian basin with an overall average of 2.75 percent rate of flared gas, versus the entire Permian average of 4.4 percent. But in the Delaware Basin, UL companies underperformed—wasting 9.68 percent of their gas, compared to the total basin average of 7.87 percent. The Sheffield Channel leases, while a small portion of UL’s overall production, also appear to be a problem spot in 2017 compared to other leases in the area. It does appear that royalty collection and focused management can lead to reduced flaring rates, but it is also clear that there is room for improvement. What does all this mean and what can be done? The satellite analysis indicates the RRC is working with incomplete and faulty data. The agency needs to incorporate the NOAA satellite tool into their flaring estimates. We can’t develop good policy or enforce existing policy with bad data. The RRC is statutorily bound to prevent waste and pollution, and Texans have the right to know just exactly how much waste and pollution is occurring through the extraction of our state’s natural resources. improve reporting processes and requirements. Additionally, current law exempts flared gas from oil wells from the state’s 7.5 percent natural gas tax. Eliminating that exemption would not only generate significant revenue for the state, it would also create a small incentive for operators to limit their flaring. Oil and gas industry groups have long insisted methane emission regulations are unnecessary because the industry has the economic incentive to save their own natural gas product. Burning 8 percent of product each year undermines this argument. Furthermore, industry insists that excessive flaring is an unfortunate byproduct of early and rapid development in an oil field. Once we build the necessary pipelines, the flaring problem will go away, they say. Yet, as the data show, waste and pollution from flaring in the Permian has been consistently high since at least 2012. The truth is, the economics of each well are built around the oil. The market and industry, left to their own devices, is neither willing, nor able, to solve the problem in any sort of reasonable time frame.